Skill-it Algaecide is EPA registered and works with most common swimming pool chlorine and non-chlorine sanitizers to effectively remove and eliminate algae. It eliminates the majority of resistant colors and types of algae. The product has additional advantages as customers have noted that bees and wasps don’t seem to like to be around water treated with Skill-It. It does not stain and is non-metallic. 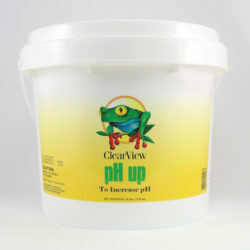 It’s a user-friendly product that doesn’t require adjustment to the water pH before applying. Customers find Skill-it Algaecide to be an important tool for fighting resistant, persistent algae over the long term. The product can be reapplied if the initial application doesn’t completely eliminate the algae problem. 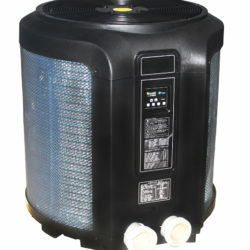 Skill-it Algaecide can be added by itself directly to the pool water or water circulation equipment to eliminate algae. Skill-it works best when it is added directly to pool water by itself in the area where the algae is most severe. (turn off water features and keep agitation to a minimum to prevent excessive foam during treatment) The product is compatible with most swimming pool chemicals but should never be mixed directly with chlorine or any other oxidizer. Add approximately 6 ounces per 10,000 gallons of water, or 26 ounces to 50,000 gallons of water. Vacuum the pool after 24 hours to remove dead algae. If the algae are still visible, repeat the process until the pool is free of algae. For maintenance application, add 2 ounces per 15,384 gallons or 6.5 ounces of Skill-it to 50,000 gallons of water every three to five days or as necessary. A booster application may be need is after a heavy rainfall or when many swimmers have been in the pool. Then, add 6.5 ounces of the product to 50,000 gallons of water. If algae growth is noticeable, use the initial application of the product for best results.